Who knew that probably one of the best chocolates ever would come from the country down under? 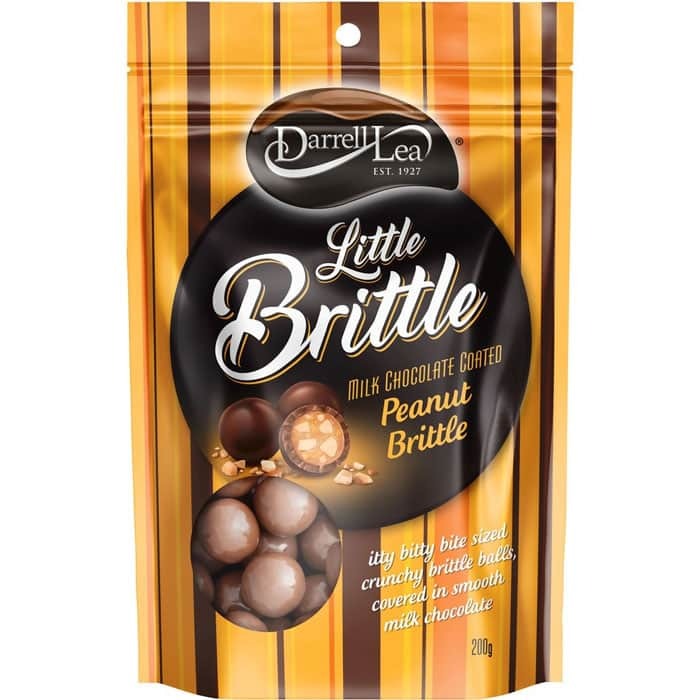 Darrell Lea Chocolate, a chocolate manufacturer and distributor based in Australia, has successfully provided the world with some of the best treats for almost a century. Darrell Lea History – Sweet and Tasty! An immigrant from London, Harry Lea, began a confectionary venture in Western Australia way back in 1917. Through trial and error and numerous change of location ventures (even beginning selling products in a humble pushcart), Lea eventually settled in having his very own chocolate factory by 1935. As a family business, Lea’s children made sure that the chocolate factory business is well taken care of, even as Harry passed away in 1957. However, come 2012, Darrell Lea experienced financial turmoil. In order to turn the business around, VIP Petfoods owners, mainly the Quinn family, pitched and eventually acquired the confectionary business. Through a business revamp and integration of new strategies, Darrell Lea eventually regained its foothold in the industry. In fact, the Quinn family eventually sold the chocolate business to the Quadrant Private Equity firm (while still retaining a major stake in terms of ownership). Such is (or was) the case of this business’ history. 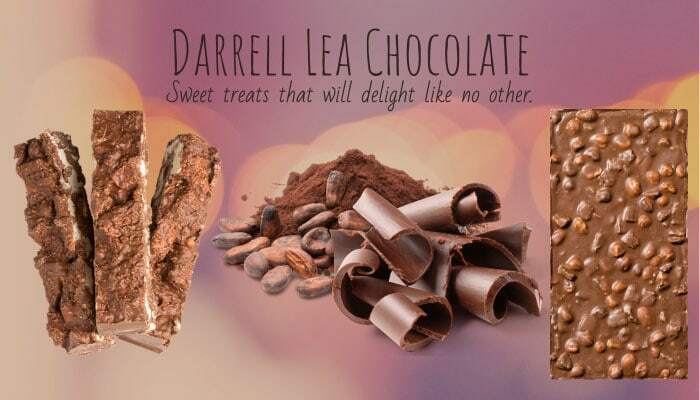 It did have its ups and downs, yet one thing is quite certain – the legacy that Darrell Lea worked and fought so hard for still remains today, with the many chocolate products that he and his family had created still in production (and, of course, still having a major demand among consumers!). As part of Darrell Lea’s push into making a massive comeback in the chocolate industry, the company has recently acquired (and outfitted) a factory in Melbourne. Originally owned by Heritage Fine Chocolates, this factory is set to produce more chocolates for sweet lovers in the country (and the world!). Aside from having a new place to manufacture more chocolate products, the latest Darrell Lea factory will also be able to provide more jobs. Which, is in line with the impressive philosophy that the Darrell Lea company follows – of investing and recognizing the people behind each and every Darrell Lea treat! Hooray and much congratulations for this latest win that Darrell Lea truly deserves to have! Now, we’re listing some amazing treats that only Darrell Lea can produce. We do hope you’re hungry and able to get the chance to taste these sweets! Darrell Lea takes pride as being a top contender (if not, the best) when creating delightful toffee products. Perfectly created to be enjoyed in bite-sized portions, these spectacular toffee balls are covered in yummy chocolate – a perfect confectionary to reward yourself after a long day! Also comes in a peanut variant! 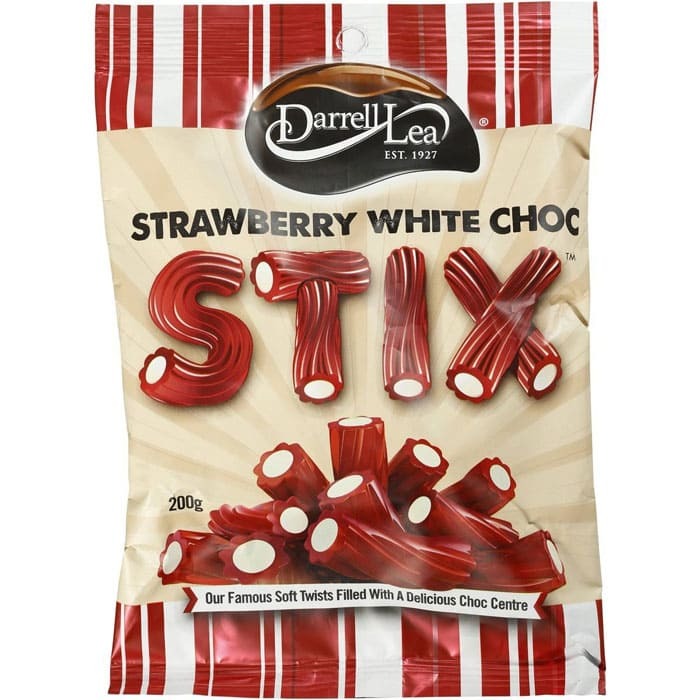 Perhaps one of Australia’s greatest contribution in the confectionary industry, Stix chocolates are perfect mainly because of the great balance of liquorice in it. The Darrell Lea Stix line comes in four wonderful flavors (original milk chocolate, strawberry white chocolate, raspberry milk chocolate, and liquorice milk chocolate) for everyone to have fun choosing a perfect taste! Founder Harry Lea created this wonderful treat on Valentine’s Day of the year 1955. He did this, as a sign of true love for his partner in life, Esther. Who knew that this symbol of love would remain as a testament that is still being enjoyed today? 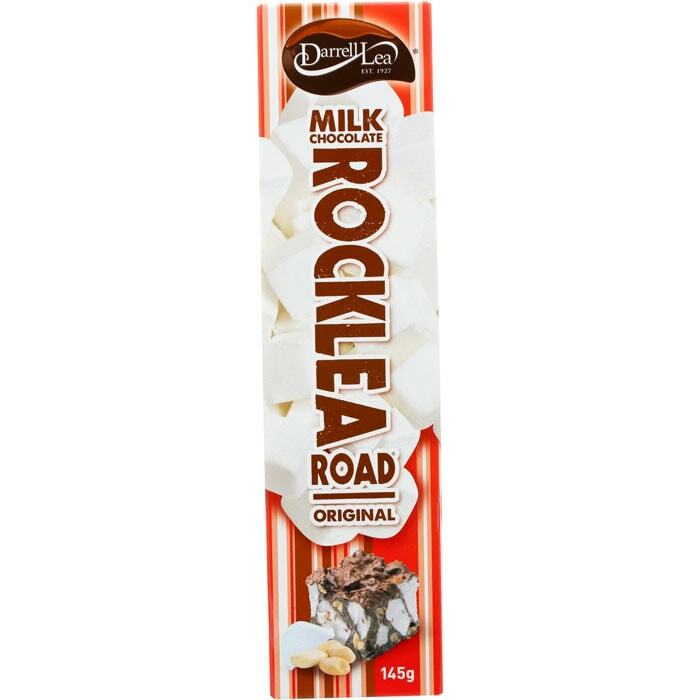 So much so, that the Darrel Lea makes sure to retain the original recipe, process, and ingredients when whipping up a fresh batch of Rocklea Road treats! We definitely cannot understate the fact that this is one fine chocolate product – the perfect blend of marshmallow, premium chocolate, coconut, and peanuts may very well be the best way to define what love is! The Rocklea Road comes in two variants – milk chocolate and honeycomb milk chocolate! 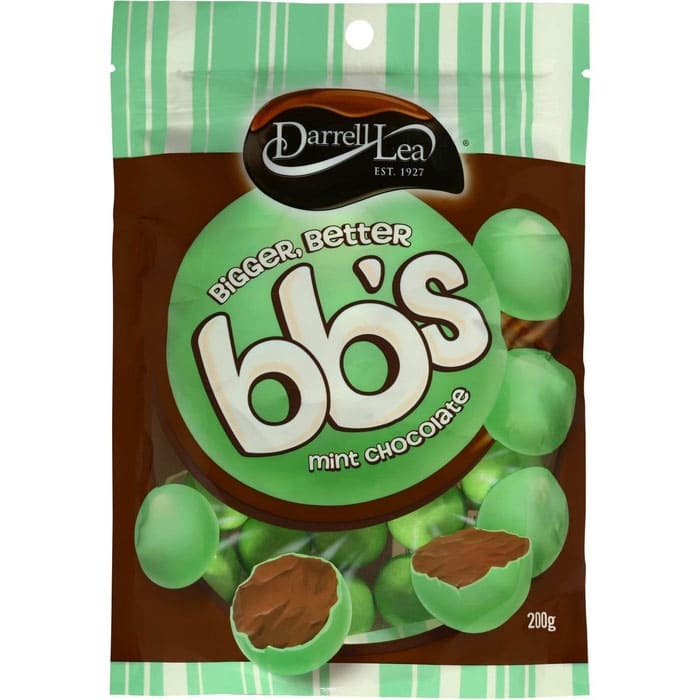 A crowd favorite, Darrel Lea’s BB chocolate balls brings in the fun in every bite. These yummy treats are filled with wonderful chocolate centers that are perfectly wrapped in flavored shells. Each crunch of Bb’s chocolate balls are worth smiles – this line of confectionary products do come in different flavors, such as orange and mint. Sometimes, a mistake can lead to a wonderful surprise. This, apparently so, happened when Harry Lea was cooking a fresh batch of his famous liquorice treats, when he realized he had done something wrong with this typical (and tried and tested recipe). The result, to his surprise, ended up in creating the softest liquorice product he has ever made. To test if this “mistake” is a success, he brought some over to the market – lo and behold, this “error” turned out to be a big treat! The Batch 37 treat, which just may be the freshest liquorice batch ever, continues to delight people from all over the world today. Sometimes, simple does best, and Darrel Lea proves this with its Classic Bar Selection line. Straight-to-the-point in delivering yummy treats, the Darrel Lea Classic line comes in three variants – peppermint nougat, ginger fudge, and caramel snows. 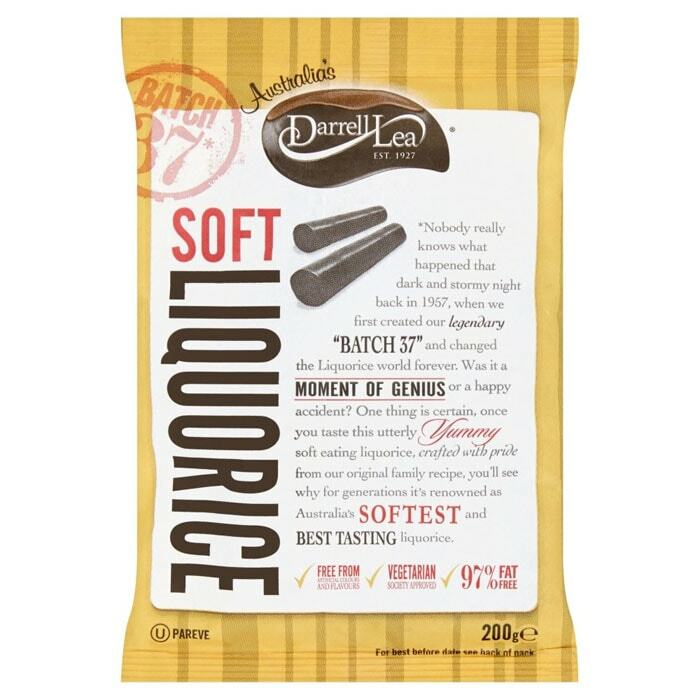 Have the best of Australia’s chocolate and the signature liquorice that only Darrell Lea can make. 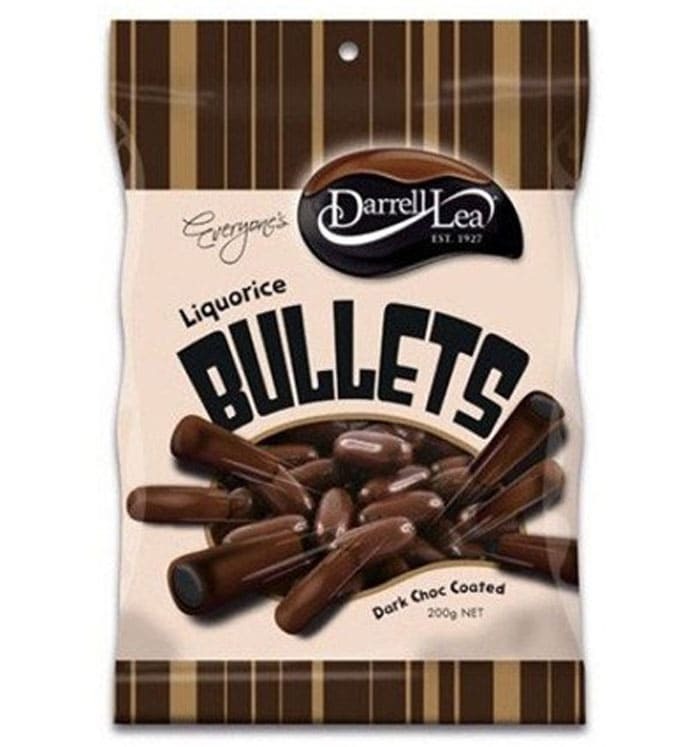 These liquourice bullets are bite-size wonders that come in awesome flavors (raspberry milk chocolate, raspberry white chocolate, original dark chocolate, and original milk chocolate)! 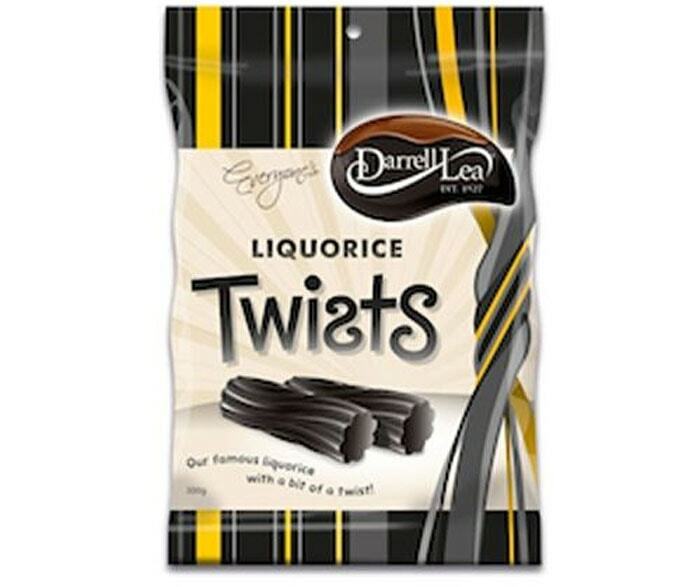 Liquorice is the treat that made what Darrell Lea is today. The traditional liquorice product that has delighted sweet lovers through the years continues to evolve, with Darrell Lea’s Twists line. Colorful and flavorful, this fun selection brings about a wonderful twist for everyone to enjoy! 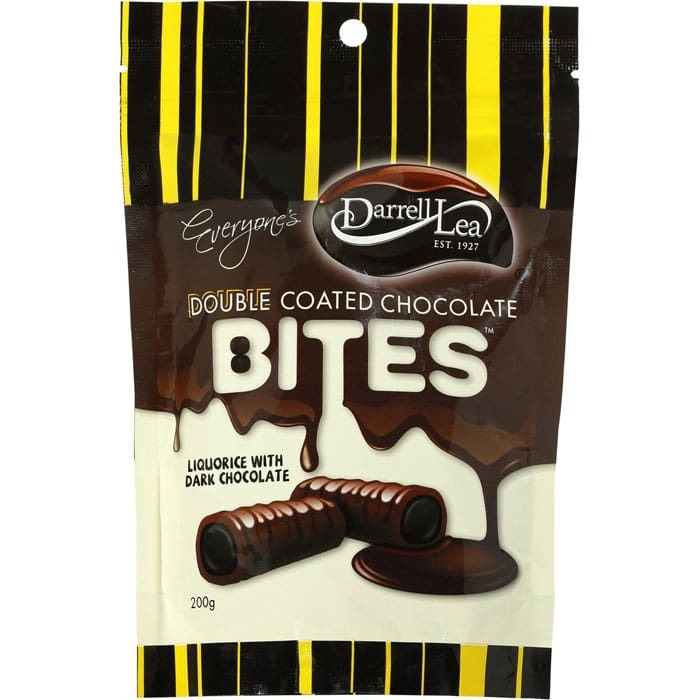 Double the impact and joy that Darrell Lea’s liquorice bites have with the special Double Coated Chocolate bites. Double-dipped to have an extra layer of extreme gastronomical delight, this is one treat that you definitely need to try. Comes in strawberry milk chocolate and original dark chocolate flavors. Enjoy your Darrell Lea delights today! And please, do let us know of your thoughts on these products by leaving a comment below.